The Granite State is located in the Northeast, with a small strip of Atlantic Ocean coastline. New Hampshire is home to the Paper Birch (also known as White Birch and Canoe Birch). A medium-sized deciduous tree, the Paper Birch lives for about 140 years and reaches a typical height of 60 feet. The bark is white and peels in large strips, interspersed with vertical black gouges. 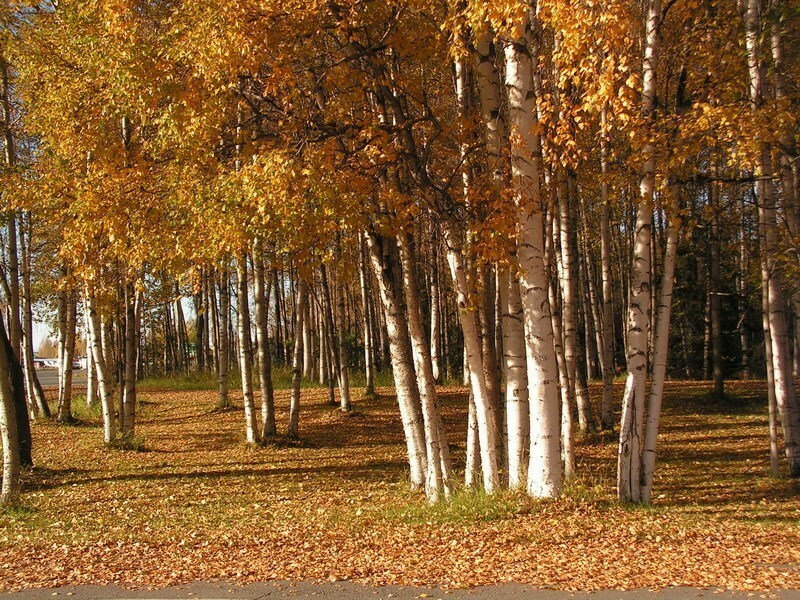 The Paper Birch is found throughout the Northeast and most of Canada, and it responds poorly to heat and humidity. The Paper Birch is often the only food available mid-winter for moose and deer, and although lacking in nutritional quality, is valuable because of its abundance. Though the Paper Birch can make an ecological addition to most backyards, it is by no means the only tree available for New Hampshire planters. Ideal for providing fast-growing shade, year-round beauty, and drought resistance. Ideal for providing classic American aesthetic, stunning fall colors, and shade. Ideal for bearing fruit for delicious, edible profits, color, and adaptable qualities. Ideal for providing year-round beauty, fast-growing growth, and drought resistance. A state that without doubt deserves its millions of residents, New Hampshire is continuing to attract new inhabitants from other parts of the United States. Although a boon for the local economy, new infrastructure can be invasive and annoying. Solutions exist for prying eyes and sound-producing highways. Trees that are cultivated to form protective barriers, better known as ‘privacy trees’ can be planted to afford the New Hampshire yard the solitude and peace it deserves. Although there are many privacy trees the New Hampshire planter may plant, none is as fitting as the Willow Hybrid. The Willow Hybrid grow quickly, at upwards of 6 feet a year, and provides fast-growing privacy. Unlike many privacy tree species, the Willow Hybrid is not an evergreen but a subset of the willow, providing a unique barrier against intrusions of every kind. The Willow Hybrid is not the only option to choose from in New Hampshire. Alternatively, consider the Thuja Green Giant or Juniper ‘Witchita Blue’. 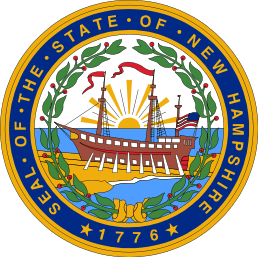 New Hampshire experiences a humid continental climate. New Hampshire has warm to hot, humid summers with daytime highs in the mid70s to low 80s and the evening temperatures dropping to about 60°F. Atlantic air causes cooling along the coast, and higher elevation regions in the mountains are also cooler. Winter averages at 34°F along the coast, with the ocean providing milder temperatures. Inland, temperatures average closer to 0°F, especially during the evening. Higher elevations also bring colder winter temperatures. Most trees require well-drained soil rich with minerals to grow. New Hampshire’s soil consists of many varieties, the most famous being the Marlow series. Found on hills or mountains, Marlow soil is dark, well-draining, loamy, and best-suited for lumber production. Regardless of the property’s location in The Granite State, a soon-to-be tree planter can perform a simple test to determine his/her soil type. Rainfall is plentiful in New Hampshire, with the majority of the state seeing an average of 40 inches of annual rainfall. The White Mountains do affect rainfall variations, though rain still falls evenly throughout the months, with between 2 and 4 inches falling every month. Snow is heavy in New Hampshire, with Nor’easters bring severe snowstorms dropping several feet of snow within 48 hours. Light snow falls frequently throughout the winter, from as early as October through to April. Irrigation can be essential in a state like New Hampshire, with varying elevations. Newly planted trees require consistent and controlled access to water. An irrigation system, such as a drip or sprinkler system, can be effective at managing water dispersal. Search possible tree-planting sites for natural or manmade irrigation systems, and if none exist, consider installing one. Newly planted trees will be ensured successful growth if water access is well-managed. New Hampshire is the 4th smallest state, and it is, therefore, surprising it is home to five unique growing zones. A growing zone simply refers to the USDA’s determination of areas where certain plants are most likely to thrive, preferring to focus on minimal temperature ranges in which a plant can survive. Many of the growing zones are due to elevation and ocean currents. Near the coast, cold temperatures are warmest, lingering near -15°F. Inland, both to the southwest and north, temperatures drop to -20°F. In the northern section of the state, along the northern border with Vermont and Canada, temperatures are much cooler, dropping to as low as -35°F near Pittsburg. New Hampshire is most prone to severe winter weather, with Nor’easters dropping several feet of snow in blizzards. The average snowfall is 61 inches, but several feet more than that occurred in a blizzard as recently as 1993. 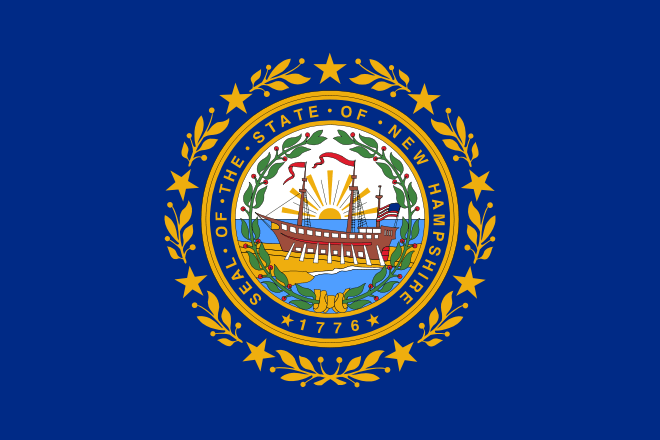 New Hampshire is also occasionally affected by Hurricanes, which have usually lost much of their power by the time they reach this northeastern state. Small tornadoes occur on average twice annually, and thunderstorms also occur well below the national average. If you prefer to purchase your trees or shrubs in person instead of online, we offer this comprehensive guide to purchasing a tree at your local New Hampshire nursery or garden center. However, since we don’t actually live in New Hampshire we can’t guarantee this list to be 100% accurate – but we did attempt to be as accurate as we possibly could. We have no affiliation with any of the businesses listed below and make no guarantees as to the businesses’ ability or the quality of trees you will receive. As with any purchase you make, be sure to check out the business with the Better Business Bureau, references, and any other sources you may have.